This is the first pop-up Calendar Club that I’ve seen this year – and it seems a depressing reminder that Christmas is coming! Calendar Club has grown at a remarkable pace since the first 12 stores opened in 1998. 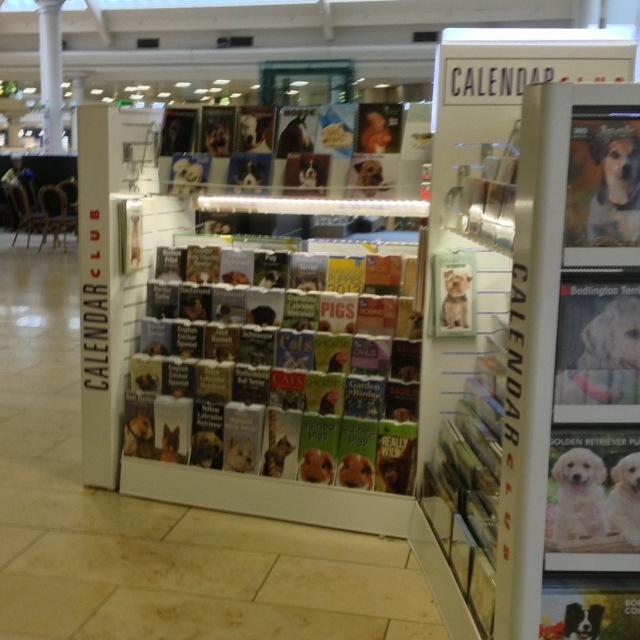 It now opens over 300 temporary stores every Christmas, and sells over 4 million calendars from a selection of over 3,000 varieties. These days, it even publishes its own calendars under the Other House label. One of the most remarkable parts of their business model is their store turnaround time: they aim to open within 24hrs of taking a store’s lease. Minimal turn-around times maximise the company’s profit, but also give it a great reputation with retail landlords who typically want to minimise the number of closed units in their malls… which, in turn, gives the company a stronger negotiating position year-on-year, reducing rents and further maximising profits. This 1,822nd post was filed under: Photo-a-day 2012, Gateshead, Metrocentre, Retail.